We created this guide in collaboration with Emily Loftis, an expat currently living in Taipei. We’re very happy she agreed to share her expertise about her adopted home town, and hope you welcome her as our Taipei city expert in this Where to Stay in Taipei Guide! Taipei, Taiwan, is a place full of striking contrasts. The glittering city at once showcases both natural beauty and colorful nightlife; and when I first moved here, I was surprised to find its peaceful national parks and hot springs bordered by bustling streets. Even within its urban centre is a clash of old and new. At the island’s famous night markets, you can wander past traditional shops selling oriental crafts and cuisine, and then stumble immediately after upon modern shops and stylish boutiques. Taipei’s diversity is what makes it such an invigorating city to visit. The laid-back capital is home to nationally renowned historical monuments, such as Ximen’s Red House and the sky-piercing Taipei 101 tower, yet also features stylish restaurants and bars, as well as quiet stretches of lush public parks. With so much to do and see, here are a few helpful tips to get you started. Xinyi: If you’re looking for some pampering, or for a luxury stay, this is the neighborhood for you. Filled with lavish hotels, trendy boutiques, and high-end restaurants, Xinyi is the best area to stay in Taipei for those who want to see and be seen. Xinyi also hosts the best clubs in town, and is the best area in Taipei for nightlife. Ximen: With trendy bars and restaurants, colorful night markets, and shops that sell anything you might possibly need, Xiemn is one of the most bustling areas of the city. The “Harajuku of Taiwan”, as it’s often referred to, is central and easily walkable. Here you can also find the capital’s historic Red House, making Ximen one of the best areas to stay in Taiwan for tourists and first-time visitors. Shida: Shida is home to some of Taipei’s best local restaurants, most of which are cheap to accommodate the budget of the many university students who hang out around here. 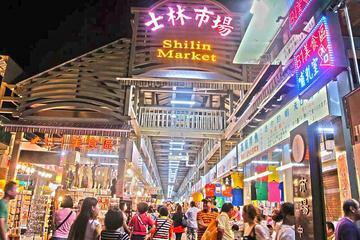 Once you’re done eating, go shopping at the bustling night market. If you want to stay in a young, multicultural and vibrant area, Shida might be the best area in Taipei! Da’an: A charming residential neighborhod that houses a big community of expats, Da’an is a great neighborhood to escape the hustle and bustle of the city center. Here you’ll find good restaurants, cool beer halls and hidden bars. You can also relax at the city’s largest park, Da’an Park, with the locals. 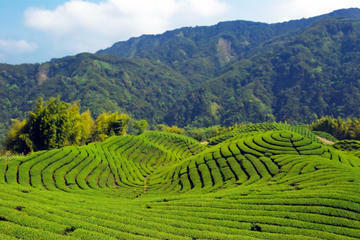 Tianmu: A bit far out as a place to stay, Tianmu is still worth exploring if you have the time to get off the beaten path and explore the open-air flea market, the steamy Beitou hot springs, and the breathtaking Yangmingshan National Park, which are all close to the area. So….Where Should You Stay in Taipei (A Summary)? This expensive and modern area is essentially the Times Square of Taipei. Besides featuring the world’s third-tallest structure, the iconic Taipei 101, Xinyi district’s claim to fame is its many world-renowned restaurants and fantastic shopping hotspots. In fact, for those who value luxury while traveling, this high-end area is the perfect place to see and be seen. And if you find yourself at a lavish hotel in Taipei, know that you’re probably in Xinyi. The area’s location in the heart of the city means that it’s the perfect spot to meet up in evenings. Here, you can find the perfect bar that suits your style and catch up while sipping on drinks, or find a more relaxed pub so that you can chill on an outdoor patio. A personal favorite of mine is Ounce, a speakeasy-style cocktail bar with a vibe as cool as the drinks served there. Of course, Xinyi also features the city’s hottest clubs, which makes it the best spot for travelers and locals to let their hair down and dance late into the night. If you want an upscale experience, or plan on checking out the city’s nightlife, consider staying in Xinyi. Eslite Hotel – A bright, airy and contemporary upscale choice, this hotel is full of high quality touches. All 104 rooms have a balcony with a view, with past guests noting views of the iconic Taipei 101 in particular. Walk to Sun Yat Sen Memorial in 10 minutes and Taipei 101 in 20 to 25 minutes. Located in between Sun Yat Sen and City Hall Metro stops, each of which are about 10 minutes on foot. W Taipei – Channeling the chic luxury associated with the W brand, this hotel embodies modern sophistication with a funky twist. Rooms have floor-to-ceiling windows with great views, BOSE audio systems, and upscale furnishings. Hotel facilities include a large fitness centre, yoga room, business centre, outdoor pool, and even a nightclub. 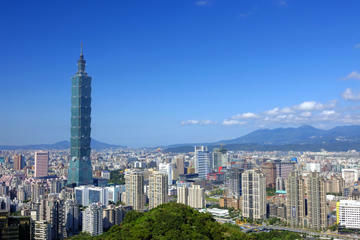 Within a 10-minute walk you can reach Taipei 101 and City Hall MRT. iTaipei2 Service Apartment – If you prefer the privacy and convenience of a luxury apartment, these serviced apartments seem like a good bet. Past guests have commended staff for how helpful they are in accommodating various family sizes, and the location is great, with Sun Yat-sen Memorial Hall, 101 shopping area and Tonghua Night Market all within a 15-minute walk (or less). The closest MRT Station, Sun Yat-sen Memorial Hall, is a 6-minute walk away. This bustling area, sometimes referred to as “the Harajuku of Taiwan,” is one of the top tourist destinations in the city. Not only is it where the capital’s historic Red House is located, but it also boasts a number of trendy and LGBT-friendly open air bars and restaurants, which surround the famous site. With its bright cinemas and colorful night market area, it’s no wonder this area is popular with people of all ages, especially young people. A great place to start is on Zhong Hua Street, just outside of Exit 6 at Ximen Station. Down this street are a seemingly endless array of shops that sell just about anything from quirky knickknacks, cute stationary, and one-of-a-kind fashion items. Plus, while you’re shopping, you’re sure to see one of the many street performances that take place nightly. The dancing, singing, and even acrobatics regularly taking place along the street draw crowds and are one of the many forms of entertainment amid the eclectic restaurants, bars, clubs, hotels, and karaoke clubs that keep the nightlife loud and lively. Taipei Garden Hotel – With 241 spacious rooms and plenty of amenities, you can survive here without ever leaving the property, especially given the luxury bedding and bathrooms. This 5-star has a bit of business hotel feel, but is in a great location for tourists. On-site fitness center and 2 on-site restaurants (with a bar). The nearest MRT station is Xiaonanmen, a 3-minute walk away. 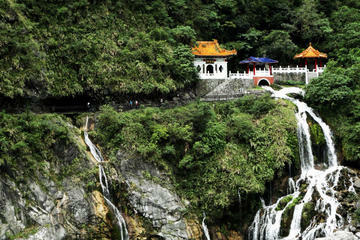 Two nearby attractions are Qingshan Temple (12-minute walk) and Taipei Botanical Garden, less than 10-minutes walk. Just Sleep – Ximending – As the name indicates, this modern yet comfortable property is all about creating a good base for your adventures in Taipei. Rooms are clean and crisp, and past guests have mentioned excellent room lay-outs and flexible check-in/-out times from staff. Self-service laundry and on-site cafe offer added value. Located in the heart of Ximending, you can reach the shopping area and Ximen MRT station in less than a 5-minute walk. Roaders Hotel – A funky 3-star boutique with loads of stylish personality, the 68 spacious rooms at this hotel vary in amenities, from city views to a private hot tub! Past guests appreciate the common area movie theatre, free snacks, dartboard and photo booth! And the quirky Americana/National Park theme is hard not to smile at. The hotel is a 15-minute walk from Huaxi Night Market, 9 min. from the Red House, and 4 minutes from Ximen MRT. Westgate Hotel – With a business center, gym and minimalist yet super comfy rooms, this hotel is a hidden gem. Past guests love its convenient location, sound isolation rooms and the extreme cleanness of the hotel. This Hotel is a 1-minute walk from Ximen MRT Station while a 10-minute MRT ride will take you to Taipei 101 and the National Chiang Kai Shek Memorial Hall. Great location for Taipei sightseeing! Via Hotel Taipei Station – A modern and colourful hotel in a convenient location, sound-proofed rooms and a range of amenities make this a good and affordable choice. Past guests describe the staff as being helpful, and the self service laundry is a nice touch, as are the snacks in the 24/7 cafe. The hotel is a 10-minute walk from Taipei Main Station, and 10 minutes from Ximen MRT. The 2/28 Peace Park, National Taiwan Museum and Ximending are all within a 10 minute walk as well. Taipei Sunny Hostel – A flashpacker hostel combing favorite community facilities with a homey feel, this hostel offers private ensuites in each of the rooms. Past guests mention the staff being really helpful at all times of the day along with the modern facilities, including a flatscreen television and toiletries in each room. When you walk outside, you’re in the heart of a neighbourhood with many street food stands in the area. Just 5km away from the airport, you can be in the trendy Ximending area in 10 minutes on foot. 5-minute walk to NTU Hospital metro station. This vibrant area features one of the city’s busiest and most famous night markets and is recognized for its diverse, multicultural vibe thanks to the two famous universities nearby: Shida, or National Taiwan Normal University, and the prestigious National Taiwan University. The proximity of the two universities means the neighborhood is full of students from all over the world; you can see people from many different countries talking and laughing with friends while taking a jaunt down a brightly lit shopping lane. What’s more, Shida is a great place to find delicious eats. From savory soup dumplings to grilled squid to mouthwatering beef noodle soup, the food served here is not only tasty and piping-hot, but also accommodates university student budgets, meaning that you can eat well on the cheap. Don’t leave without trying a Taiwanese classic: a national take on the hamburger. These warm buns stuffed with pork meat and pickled vegetables are especially tasty at Lan Jia Gua Bao, one of the area’s amazing restaurants. Afterwards, you can take a walk through the night market in order to find a variety of treasures, from stylish items in the small boutiques to funky jewelry to unique beauty products in the stores that line the narrow alleyways. Inhouse Residence – Mixing a “mountain lodge” with a spa feel (think: wooden panelled walls, natural materials, and crisp linens), and a comfortable and cozy look to each of the 10 rooms, this place looks like a great retreat within busy Taipei. When you don’t feel like going out, the lobby looks to be a nice place to enjoy a book or chat to other guests. The Shida Night Market is a 5-minute walk away. Don’t miss a visit to the boutique shops in the area featuring local art and antiques. 6-min walk to Taipower Building metro station. Downtown Boutique Apt – A boutique apartment in a great location, the 2 separate bedrooms and 45 square meters of space makes this a good option for families and groups of friends. Past guests love its closeness to public transportation and the fact that it can host a fairly big group of travelers. This boutique apartment is only 1 minute away from Guting station and a 5-min walk to Shida Night Market, making it perfect for getting into local night market life! Oriental Deluxe for 4 – With two bedrooms, two showers, an area of 50 square meters (~540 Sq. feet) and a superb interior decoration befit for a Taiwanese Emperor, this apartment looks like a lovely upscale option! Past guests love the location near a subway station and the helpfulness of the host, Jenny. The apartment is 5-min walk to Shida Night Market and 1-min walk to Guting station, making this a convenient base for exploring Taipei. For those who want to avoid the crowds, Da’an is a charming refuge. Often considered “the home of expats,” this residential area has plenty of lovely boutiques and small stores for those who want to shop without getting caught in a frenzy of people. As Da’an developed, it became one of the major hubs for expats and global travelers, which has helped make the area more diverse. Today it has a reputation for housing some of Taipei’s best and most interesting restaurants and is a great spot to find beer halls and cool hidden bars. One that can’t be missed is the classy and popular R&D, which is known for its signature cocktails. As far as shopping for unique finds or souvenirs, the Jade and Flower Markets are located underneath an expressway in this district. After perusing the treasures there, join the locals and expats lounging at the city’s largest park: Da’an Park. Once you’ve soaked up some sun, you can relax in one of the many cafés and restaurants on Yongkang Street. Swiio Hotel Daan – This 36-room hotel has a bright and airy look to it, with near all-white decor punctuated with monochrome accents. The hotel does the basics well, offering great breakfasts and high quality in-room amenities. The rooms have a variety of views, so if possible ask for a room with a great one! Located in the Daan District, you can reach the park and both the flower and night market in a 15-minute walk. The closest MRT is Technology Building Station, a 20-minute walk away. Home Hotel Daan – A nice ‘home away from home’ option offering spacious rooms, balconies and a communal garden area. Rooms have TVs, lush pillows, a nice deep bath and are stocked with toiletries. Past guests recommend getting a room away from the main street if you’re sensitive to traffic noise. There are a few shopping centers nearby along with the Zhongxiao Fuxing MRT Station, a 3-minute walk away. Popular tourist attractions like Sun Yet Sen Memorial, Taipei 101, and the Flower Market are less than a 10-minute taxi ride. Hotel Proverbs Taipei – Walking into the hotel, you’ll notice the heavy use of wood decor, giving the hotel a distinct personality. Past guests have mentioned to ask for the best available room when booking, which usually means a higher level room away from the main street. Nearby attractions you can walk to are Liaoning Night Market, Taipei Arena and the flower market, all within a 10-15 minute walk. Zhongxiao Fuxing MRT Station is within walking distance for public transport. Dandy Hotel – Daan Park Branch – The minimalist style of this hotel has a calming effect, and gives the impression of an interior overflowing from nature. There are 73 rooms with six categories, with a common theme of simple modern designs that are elegant and offer high quality amenities. Past guests mention the rooms facing Daan Park have the best views, and the higher the level the better. Located right by the entrance to Daan Park, you’re still not far from the action with the MRT Daan Park station 1-minute away, and the Yongkang area, full of shops and restaurants, a 5-minute walk away. Tianmu could easily be called a melting pot of both local and foreign cultures. Today, it is one of the city’s most affluent neighborhoods and remains the residential area of choice for many expats. One reason for this is that the prestigious international schools Taipei American School and Taipei European School are located in this area. What’s more, the intercontinental influence on the area means that a higher level of English is used here. Tourists and locals alike are especially lured to Tianmu during baseball season, as one of the nation’s grandest and most important baseball stadiums is found here. Others are drawn to Tianmu’s open-air flea market, which sells arts and crafts, in addition to used items ranging from clothes to jewelry to old toys, every weekend. If you’re more into outdoor adventure, this area is close to the steamy Beitou hot springs and the breathtaking Yangmingshan National Park. One thing you will note is that, unlike the other neighborhoods listed, there is no MRT station in Tianmu. However, you can easily take a taxi or bus there; the most cost-effective option is to take the MRT to Shipai Station and then take a bus or taxi to the district from there. Dandy Hotel -Tianmu Branch – This boutique hotel has 54 rooms equipped with all the needs of the modern traveler, and an Italian-inspired decor. The staff are constantly mentioned by past guests as being incredibly helpful with advice and making any bookings. The rooms are neutral white with pale wood and have a fridge and desk inside. Zhishan Cultural and Ecological Garden is a 15-minute walk away or you can get a cab to MRT Zhishan Station in 7-minutes, with easy access to the rest of the city. Beauty Hotels – Beautique Hotel – This 30-room property offers modern amenities and extra facilities, such as the business center and gym. Past guests make it clear some rooms have no windows, but those that do are very nice, so be sure to ask! The in house restaurant is well-rated, and past guests mention the great showers! Extra bonus, the hotel provides free transfers to Shipai MRT Station, a 7-minute drive away, which allows you to explore Taipei before coming back to enjoy local cuisine at one of many restaurants nearby. Les Suites Grandee – By choosing to stay in one of the 30 contemporary rooms at this hotel, you’ll might feel like the staff are your best friends. The bathtubs are noticeably deep allowing you to sit back and relax after a day in the Taipei heat. The hotel is located across the road from the Shilin night market, a 3-minute walk from Jiantan MRT Station and a 40-minute drive from Taoyuan International Airport. So Where Should You Stay in Taipei? As always, figuring out where to stay in a city really comes down to how you want to spend your time! If you crave a luxury experience, want to experience Taipei’s upscale party scene, and want to be central, Xinyi is the best place to stay in Taipei. It’s super convenient, and has loads of beautiful shops and restaurants – not to mention hotels. If you want more of an eclectic vibe to take in some of the city’s colorful bars, markets, and a bit of culture, Ximen is one of the best neighborhoods to stay in Taipei. Similarly, Shida is a hip, multi-cultural area with plenty of sights and dishes to try. For something quieter, Da’an will give you a more relaxed experience and keep your interest with one of its many interesting boutiques or inviting bars. If you’d like to explore a national park and replenish your spirits by taking a dip in some hot springs, don’t miss going to Tianmu. The city is an exceptionally safe one, so if you can’t make up your mind, feel free to wander the gorgeous island’s capital city until a special sight catches your eye! Travel in Taiwan is safe, easy, convenient and, as far as public transit is concerned, clean! Strict subway rules against eating, drinking beverages, and even chewing gum aboard the MRT help keep the stations well maintained. In addition, the trains are reliable; they run everyday, first leaving their respected terminal stations around 6 AM, arriving at various MRT stations every few minutes until around 12 AM / midnight. Most of the neighborhoods listed above can easily be reached by the MRT; there is a station in every district mentioned besides Tianmu. Yet even this area can easily be reached by other means of transport. See the Tianmu paragraph for more details! We hope our Where to Stay in Taipei Guide is helpful in planning your trip! It’s definitely our hope that this guide (and our Where to Stay in Beijing and Where to Stay in Shanghai guides) will make it easier for you to have a great time in Taipei…hopefully we succeeded! We also want to share how we created this guide, and specifically how the hotels were chosen. In terms of choosing the neighborhoods to include in this Where to Stay in Taipei Guide, we let Emily put her expertise into action here, and she had full control over which neighborhoods to include, and which to exclude. We asked Emily to include the main touristy neighborhoods, as well as some “cool” neighborhoods she would personally recommend to friends and family coming to visit Taipei on a holiday. We’re super happy with the areas she chose, and the fantastic recommendations in each! The thing about asking a local for advice, however, is that locals don’t stay in hotels. Because so many people have asked us for specific hotel recommendations in our past guides, we tried to strike a compromise, and went through to find highly-rated, cool, and good value hotels in each of the areas Emily recommended. Basically, we asked ourselves if we would personally want to stay there, and if we’d feel comfortable directing a friend or family member to that hotel. Really, we want to help you have a fantastic stay in Taipei, be it a longer trip throughout Asia or a short Taipei city break. And, we want you to be able to do so without spending hours on the internet, reading reviews and cross-checking locations on a map. Hopefully we’ve succeeded…but please don’t blame us if we haven’t – at the end of the day, we expect you’ll check the most recent reviews and specific conditions in the city, using our listings as a starting point and framework, and choosing then selecting the best hotel and area to stay in Taipei for your own trip!